A trip to St. Kitts and Nevis takes you to the smallest country in the Americas. Although diminutive in size, the two Caribbean islands offer a distinct tropical experience to visitors. Rich in history, the islands feature forested hills, tranquil beaches, charming villages, and restored sugar plantations. 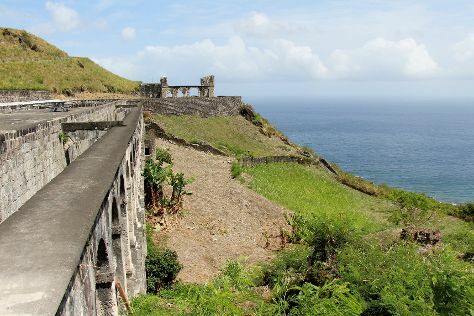 On a tour of St. Kitts and Nevis you can visit historic forts and quaint colonial towns, lounge on picturesque stretches of sand, or enjoy hiking the dormant Mount Liamuiga, the islands' highest peak. St. Kitts and Nevis is in Caribbean. With our St. Kitts and Nevis trip planner, St. Kitts and Nevis vacations can be built around trips to St. Kitts and Nevis and other destinations in St. Kitts and Nevis.